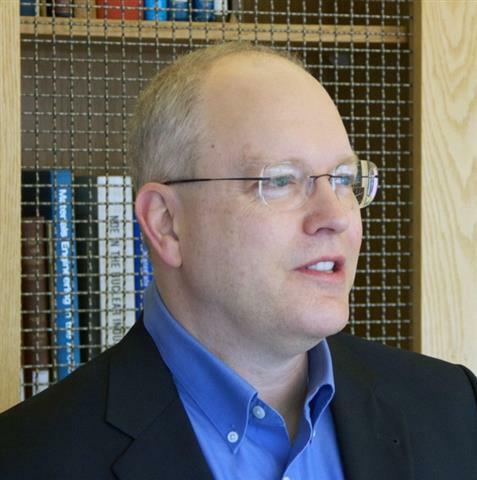 Koopman, P., & Osyk, B., "Safety Argument Considerations for Public Road Testing of Autonomous Vehicles," SAE WXC, 2019-01-0123, Apr. 2019. Koopman, P., Kane, A. & Black, J., "Credible Autonomy Safety Argumentation," Safety-Critical Systems Symposium, Bristol UK, Feb. 2019. Koopman, P. & Fratrik, F., "How many operational design domains, objects, and events?" SafeAI 2019, AAAI, Jan 27, 2019. Pezzementi, Z., Tabor, T., Yim, S., Chang, J., Drozd, B., Guttendorf, D., Wagner, M., & Koopman, P., "Putting image manipulations in context: robustness testing for safe perception," IEEE International Symposium on Safety, Security, and Rescue Robotics (SSRR), Aug. 2018. Koopman, P., "The Heavy Tail Safety Ceiling," Automated and Connected Vehicle Systems Testing Symposium, June 2018. Hutchison et al., "Robustness Testing of Autonomy Software," ICSE-SEIP, 2018. Koopman, P. & Wagner, M., "Toward a Framework for Highly Automated Vehicle Safety Validation," SAE World Congress, 2018. SAE-2018-01-1071. Investigations into potential causes of Unintended Acceleration (UA) for Toyota vehicles have made news several times in the past few years. Some blame has been placed on floor mats and sticky throttle pedals. But a jury trial verdict found that defects in Toyota's Electronic Throttle Control System (ETCS) software and safety architecture caused a fatal mishap. This verdict was based in part on a wide variety of computer hardware and software issues. This talk will outline key events in the still-ongoing Toyota UA story and pull together the technical issues that have been discovered by NASA and other experts. The results paint a picture that should inform not only future designers of safety-critical software for automobiles but also all computer-based system designers. If you can't access blogspot, there is a mirror of that information here. This combines our experience with Ballista software robustness testing and invariant-based embedded safety monitors to create a testing approach that will help ensure autonomous vehicles and other robots are safe even if they encounter unexpected or exceptional operating conditions. The follow-on is called Robustness Inside-Out Testing (RIOT), although not a lot of public available info on that right now. Can we create a simple, generic safety shutdown building block? Ideally, what we want is a standard component building block to ensure that a subsystem or entire system gets shut down if it exhibits unsafe behavior, without having to model the details of the design. Example result: these ideas have been successfully applied to a prototype autonomous vehicles and a prototype commercial vehicle technology demonstration platform. A lot of the folklore on checksums isn't quite right. We spent a considerable number of CPU-years crunching on a search for optimal polynomials. And we found them. Currently we are working with the FAA applying that knowledge to aviation applications. How can you mitigate malicious and non-malicious timing fault propagation across an embedded network gateway? Or, put another way, how can you keep your car's radio from destabilizing you car's suspension system? Example result: using a FIFO queue to mitigate timing clumps from an IT-style network to a control network can be worse than just throwing clumped messages away. Predictive filters look like a good way to go instead. How can you get cryptographically secure multicast authentication on a real time embedded network such as CAN or FlexRay? You only have a few bits to spend for this in each message, as well as limited memory and CPU power. Example result: combining truncated authenticators from multiple message packets provides a useful engineering tradeoff among bandwidth, attack resistance, and control latency. The rules of the embedded security game are likely to differ from those of IT and desktop security. You can't just treat an embedded computer like your desktop machine. Embedded systems usually have the ability to release energy into the environment via actuators. Any potentially uncontrolled release of such energy is, by definition, a safety issue. Some software isn't particularly robust to exceptional inputs. We developed an automated approach to finding robustness vulnerabilities in APIs, including the POSIX and Windows. We found some one-line programs that crashed mature commercial operating systems. Wouldn't it be nice if systems failed soft instead of failing hard, and did so without having to resort to brute force redundancy? How to figure out the pieces and how they fit together in systems that are bigger than just a CPU or just a computer. These differ in many ways from IT style networks, and we have worked on a variety of aspects. Distributed embedded systems have unique dependability challenges, especially when theoretical ideas such as group membership and periodic real time schedules meet the real world. In a previous life I designed stack-based CPUs. While they have fallen out of the mainstream, there is still quite a bit of interest, so I maintain a page with my work in this area. In addition to stack computers, I've done a little bit of work on supercomputer architecture and everyday CPU design. 18-649 Distributed Embedded Systems (Every starting Spring 2007, and taught many previous years as 18-549; every Fall 2011-2015). Complete lecture slides are on-line as an advanced embedded systems tutorial. 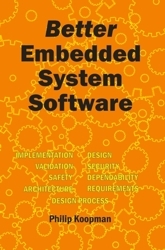 18-849 Dependable Embedded Systems (Fall 2005, 2008, 2010). Includes an extensive reading list of scholarly papers on distributed systems, dependability, safety, and more. 18-548, Memory System Architecture (Fall 1998; discontinued). An old course, but it has on-line lecture notes that cover memory hierarchy top to bottom. UCITA information -- just say NO to safety critical software sold "as is"